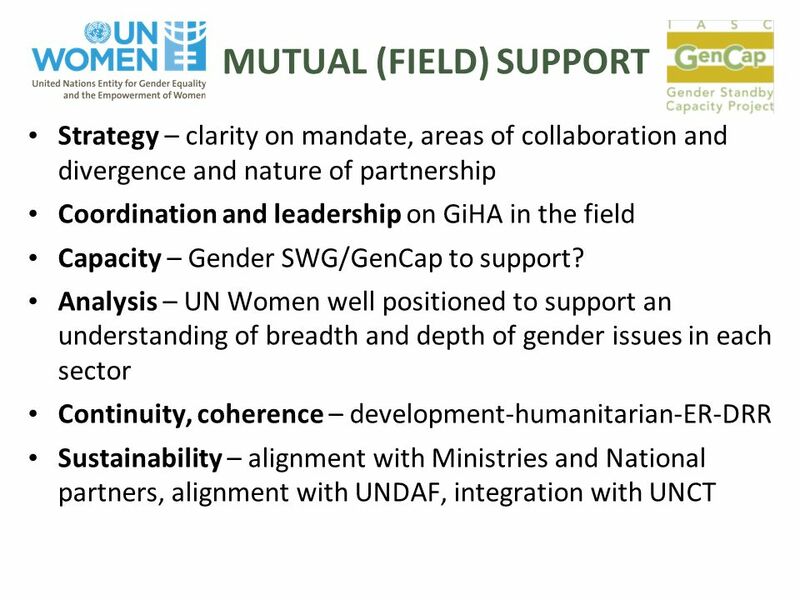 GenCap Technical Workshop Session 4: GenCap & UN Women: Collaboration on Gender in Humanitarian Action Siobhán Foran (GenCap) and Natalia Zakharova (UN. 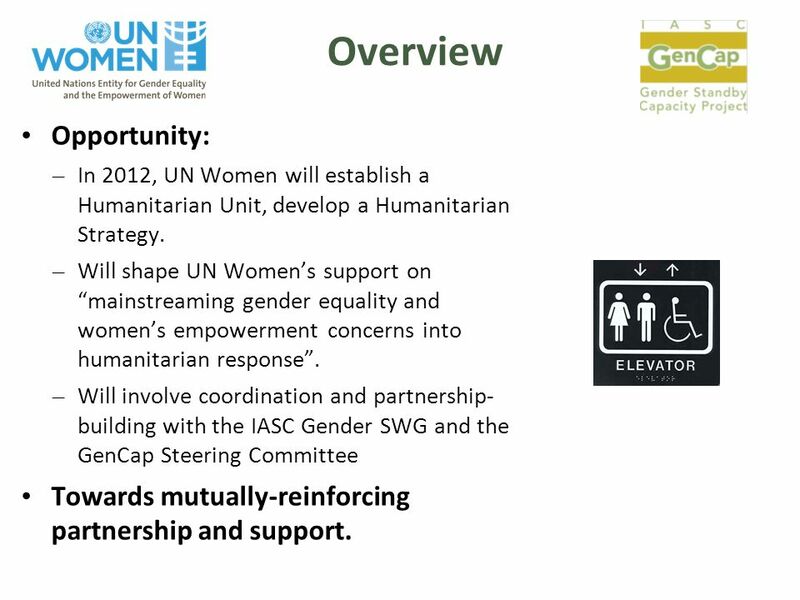 5 Overview Opportunity: – In 2012, UN Women will establish a Humanitarian Unit, develop a Humanitarian Strategy. – Will shape UN Women’s support on “mainstreaming gender equality and women’s empowerment concerns into humanitarian response”. 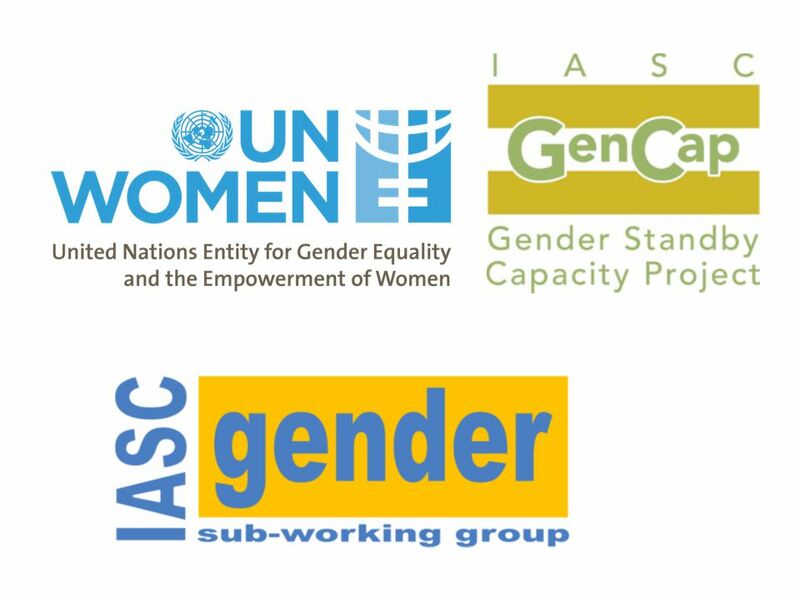 – Will involve coordination and partnership- building with the IASC Gender SWG and the GenCap Steering Committee Towards mutually-reinforcing partnership and support. 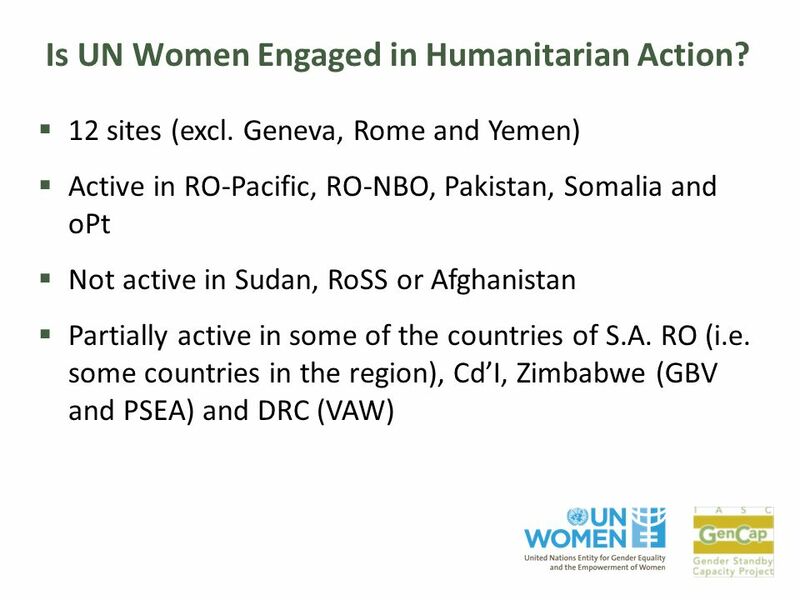 9 UN Women’s in humanitarian work? 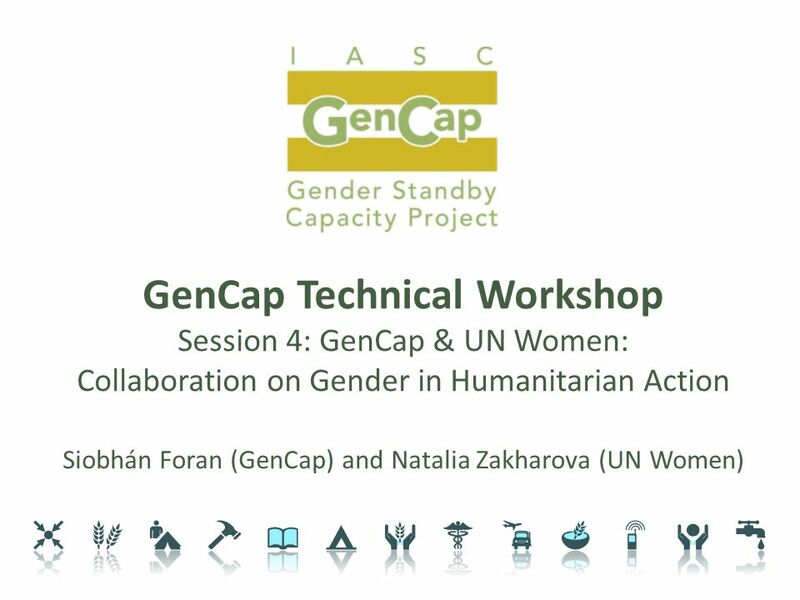 Download ppt "GenCap Technical Workshop Session 4: GenCap & UN Women: Collaboration on Gender in Humanitarian Action Siobhán Foran (GenCap) and Natalia Zakharova (UN." UNDGO – UNDP BCPR – OCHA JOINT INITIATIVE ON RECOVERY COORDINATION (JI) DGO TRANSITION WORKSHOP Cairo, 6 March 2008. 1 United Nations Economic Commission for Europe Workshop on Enhancing Women Entrepreneurs in SEE Sarajevo, 1 October 2009 Malinka Koparanova, Senior Social. The Regional Capacity Building Project for Public Service Training Institutions in Post-Conflict Countries Prof Anne Mc Lennan on behalf of PALAMA Graduate. 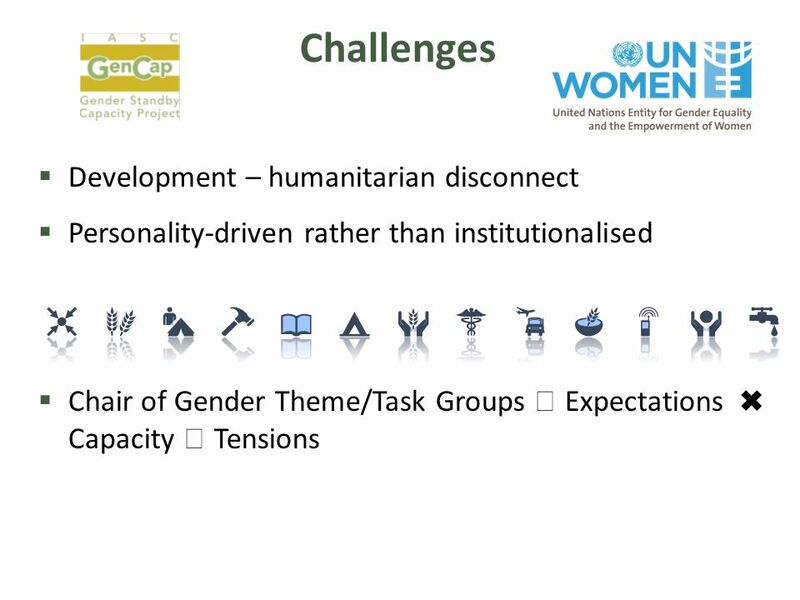 Human rights and gender equality in development evaluation – What capacity is needed? ENABLING ENVIRONMENT INSTITUTIONS INDIVIDUALS DEMAND SUPPLY PARTNERCOUNTRIES. Intensified action on seven behaviours by all development partners Session objectives 1.To review status of intensified action: progress, issues and challenges. 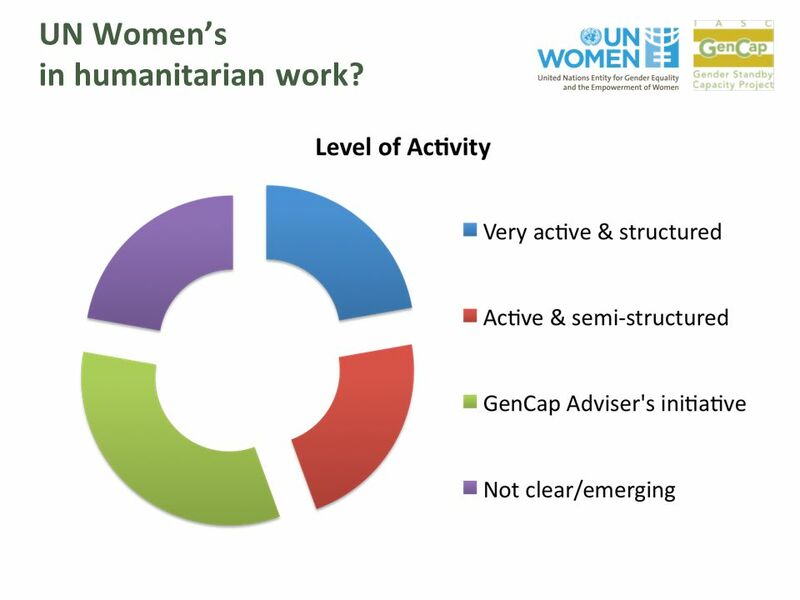 Thematic evaluation on the contribution of UN Women to increasing women’s leadership and participation in Peace and Security and in Humanitarian Response. 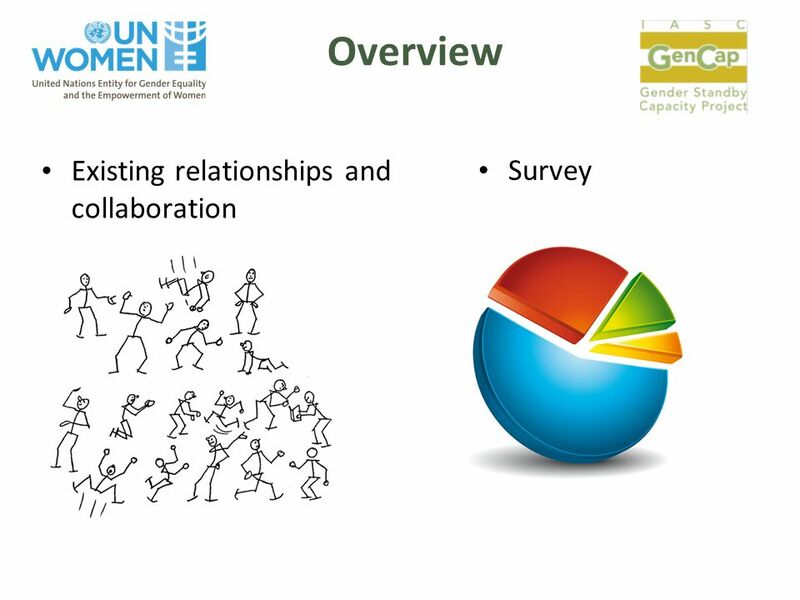 IASC Gender Marker Results & Lessons Learned IASC CAP Sub Working Group. 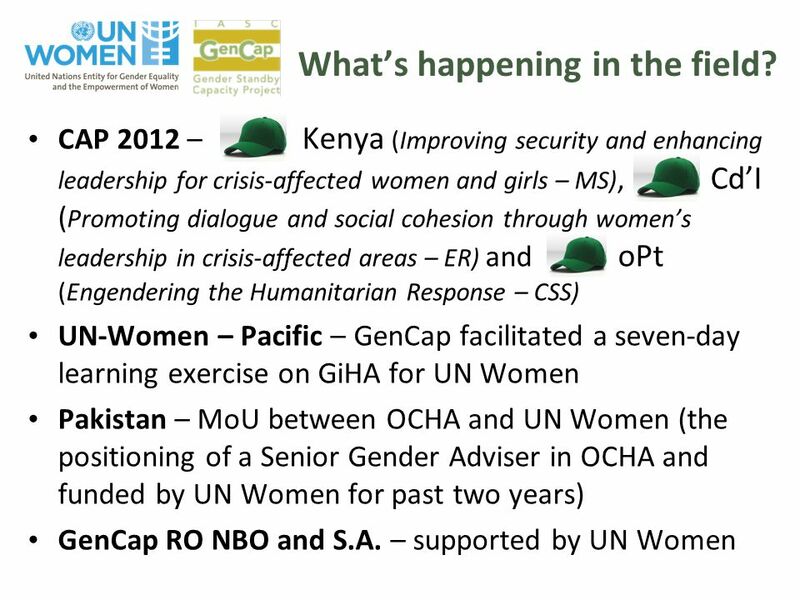 IASC Gender Marker Progress & Ways Forward GenCap Technical Workshop 24 th February, 2012 IASC CAP Sub-working Group. Transition of Clusters in Zimbabwe September 2013 OCHA Zimbabwe. 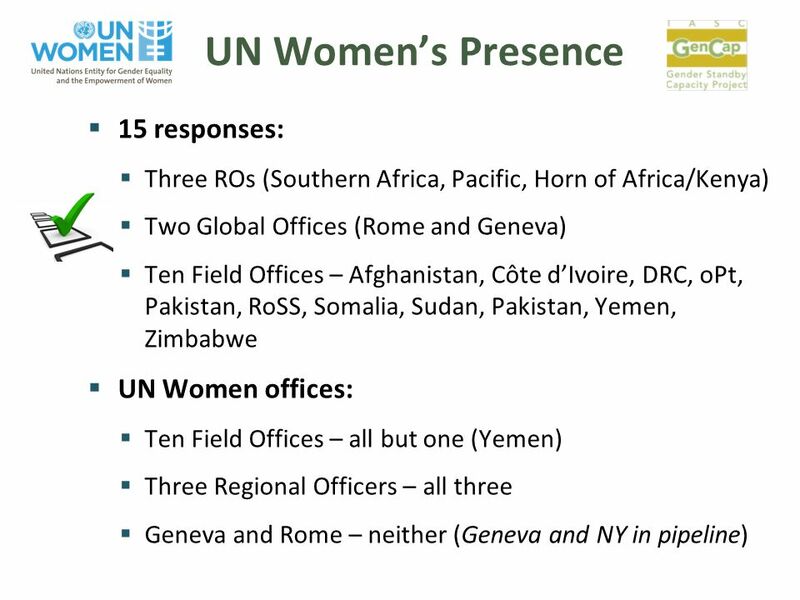 UN Women Ethiopia Country Office/Liaison to AU/ECA UN WOMEN OPERATIONAL SUPPORT TO BEIJING +20 AFRICA Presentation to Executive Board Monday, 2 nd February. Progress on GS Activities 3 rd & 4 th IAEG Meetings on GS Neda Jafar Economic and Social Commission for Western Asia (ESCWA) 4 th Meeting.